When the sailing enthusiast Dieter Krügel saw this irresistible Herreshoff Schooner, the American Lady MISTRAL, in Newport Beach, CA, he immediately fell in love with her beautiful lines and started a new chapter in his and her sailing history. 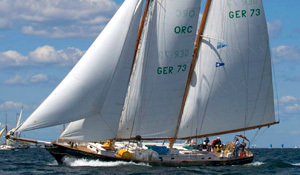 The new owner participated in different regattas in the Baltic and North Sea . He also sailed MISTRAL from Flensburg, Germany across the North Atlantic several times – even participating in an ocean-crossing regatta – to take part in regattas for classical ships in the Caribbean and Canada. At some point it was time to improve her stability for these arduous journeys and highly gifted boat builders in a historic shipyard located in Arnis at the river Schlei, breathed new life into her during a second refit. Learn everything about this Herreshoff schooner from 1938. 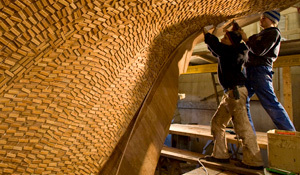 A deep insight into the extensive restoration work from 2006 to 2008. Do you have a passion for classical yachts? 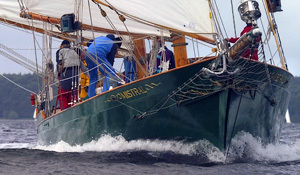 Then you should take a closer look at MISTRAL since this lovingly restored schooner is looking for a new owner.